Laid out in 1733, Ellis Square has the distinction of being one of Oglethorpe’s original four squares, along with Johnson, Telfair and Wright. It also has the distinction of being the most singularly ugly of all Savannah’s squares. In 1954, before the historic preservation movement really got going, Ellis Square was sold to business interests that demolished it and built a parking lot. It’s actually an ironic twist, that Ellis Square might be sold off and lose its dignity. Before the Civil War, this was the site of Savannah’s slave market. Karma can be tough. 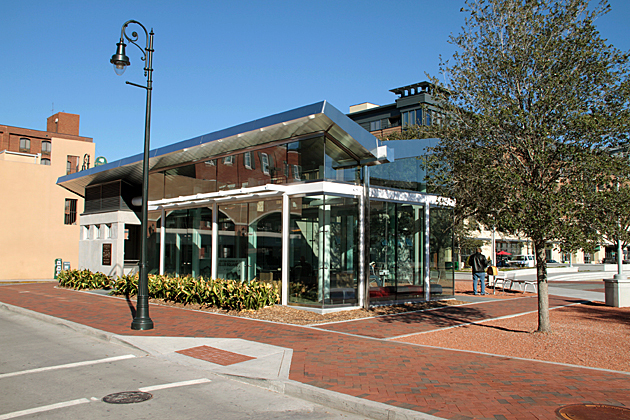 The parking company’s 50-year lease ended in 2004 and Savannah wasted no time in redeveloping the square. But from an aesthetic viewpoint, there’s little doubt they did a poor job with the development. Perhaps they wanted something more modern and daring, but Ellis has none of its siblings’ charm. 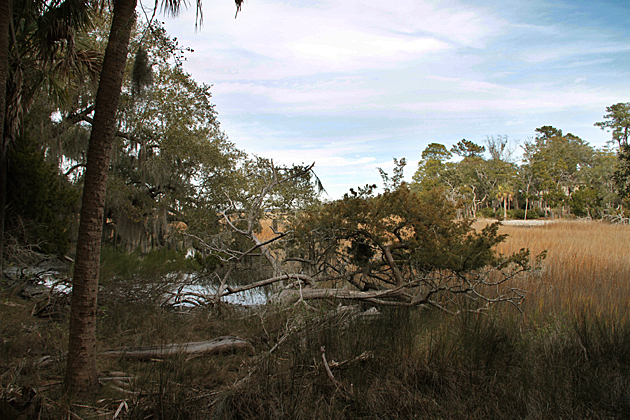 With plain cement in a circular shape and a total lack of vegetation, most tourists don’t even realize they’re in one of Savannah’s most historic spots. The chintzy tourism zone of City Market sprouts off to the west of Ellis Square, where a statue of Johnny Mercer leans happily against his fire hydrant, And Paula Deen’s The Lady and Sons is nearby. But unless you’re desperate for a bench to stretch out on, after consuming too much greasy food, there’s not much reason to spend time in Ellis. Ellis Square Laid out in 1733, Ellis Square has the distinction of being one of Oglethorpe's original four squares, along with Johnson, Telfair and Wright. 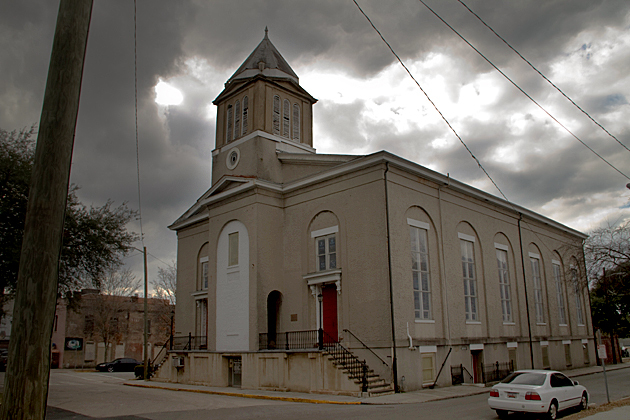 It also has the distinction of being the most singularly ugly of all Savannah's squares. It looks much better than when I was at SCAD. It was a fenced off hole in the ground!